We never, ever smashed peas in our brother's hair. Or on his plate. We're not going to bring up his cheek, because that wasn't part of the question. What was the question? Right. Eating out. Being a young person, and wanting a spot where you enjoy the food, and there are selections on the menu that appeal to your palate, and where the staff is skilled at attending to the needs of the family. Boiled down: Where to go to dinner with the kids. And while there are all kinds of choices -- places with balloons, places with ponies you feed quarters into, places with things dipped in chocolate/batter/sparkles -- often the choosing adult wants a location that is parent-pleasing as well. Hence the Open Table Kid Friendly List, which was just released. Diners of the reservation service selected their favorite take-the-small-fry-for-a-night-out top spots, and while there are several places from around the nation, the Golden State got plenty of shout-outs. 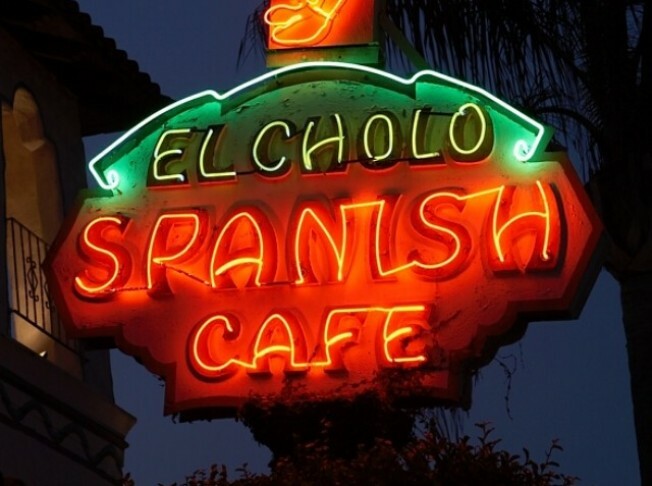 Two are right here in the LA-ish area: El Cholo in Pasadena, and Paradise Cove Beach Cafe in Malibu. Eye the whole list here. Like we said, our hands were nowhere near those peas. Now, our fingers are a *different* story. Since then, we have grown up a lot. A lot. Although, blowing the wrapper off the straw at the person across from us is still a temptation that is hard to resist.